The wheel base guarantees stability and enables the robot to rotate its front into the other person. Thanks to a skilful imitation of human gestures, the robot's interlocutor treats him as a living being. The quad-core brain guarantees fast work. The robot is able to recognize and speak in human speech in many languages. Fully programmable, readable, anti-glare tablet which extends the range of robot’s applications. Advanced technology proximity sensors which prevent collision with other environmental elements.. The robot instantly recognizes speech in many languages. But it is not all - Pepper easily makes conversations with foreign customers. He gesticulates, shakes his head, turns into a direction of other people's face. The additional multimedia tablet extends its capabilities, making it even more versatile. 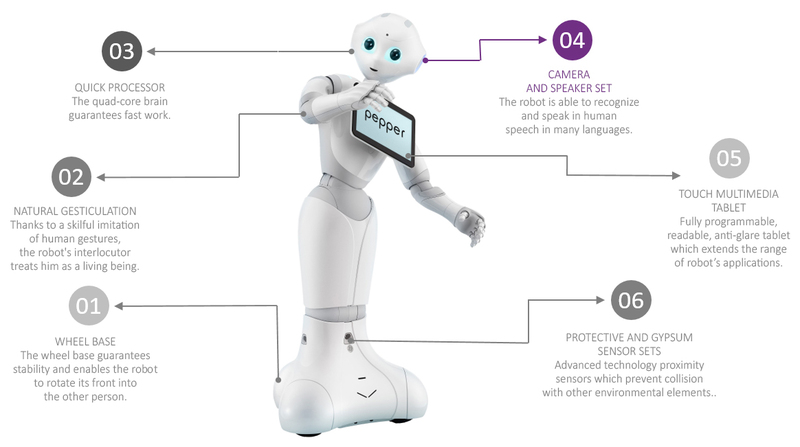 Pepper is constantly learning, and quickly becomes a qualified, full-time employee. Our robot is one of the most advanced humanoid robots on the market. 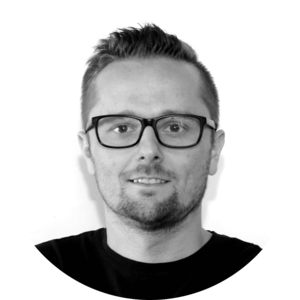 This is due to the use of state-of-the-art solutions when it comes to inter-human communication, and the use of neural networks which help the robot learn more with every contact with clients. Its great asset is its friendly appearance - the robot perfectly imitates human behaviour and intonation, while maintaining a lot of friendliness and willingness to help the client. 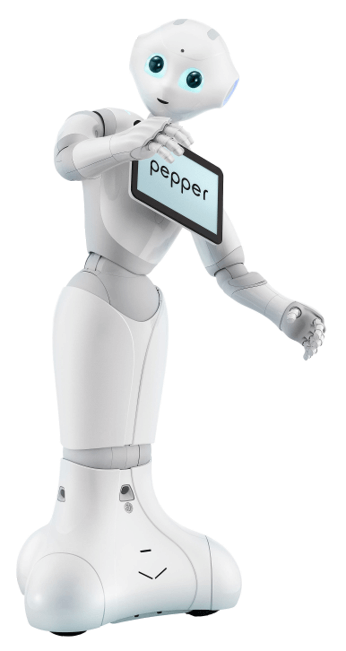 Multilingual speech recognition, specialized knowledge, and advanced human communication skills make Pepper a great employee in customer service offices – at the registration (especially in hotels where language skills are required), as a salesman, travel agent, and everywhere where it's required to talk to the customer. The robot can also be used in hospitals and clinics, helping patients find a suitable doctor's office. See what a great employee the pepper can be and what it does in its free time.